• As a JUST TRAVELS Affliate, you will earn money every time you successfully make a booking for your friends and family. • Recommend JUST TRAVELS to your friends either directly or by placing our affiliate banners and links on your social media account timelines. 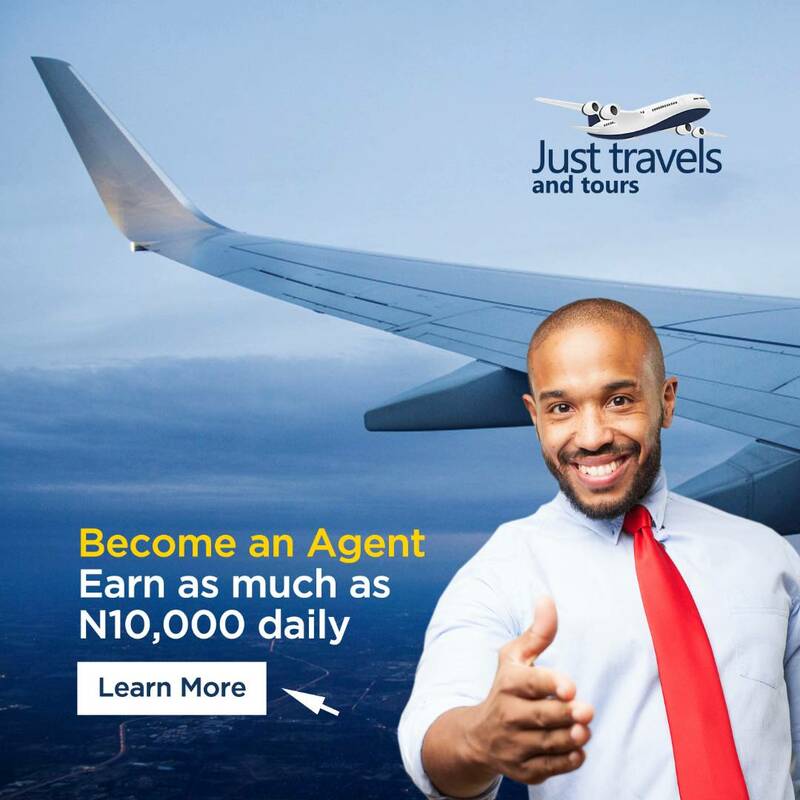 • You can earn as much as Ten Thousand Naira (NGN 10,000) daily; discounts on tickets and free flight tickets. • JUST TRAVELS negotiates directly with Airlines to bring you the cheapest prices and exclusive rates. As an Affiliate of JUST TRAVELS, you are able to work with these prices to gain more passengers. • Earn great commissions from the first day at no cost. • JUST TRAVELS organizes seminars and training for Affiliates to equip you with the skills necessary to acquire customers. • Weekly cash out of Seventy Per cent (70%) share per booking (Local and International).